Are You Stuck in Stuff ? It's never too late, help is here This Penn’s Village program includes a panel discussion which offers many suggestions for organizing your home to make it feel new. 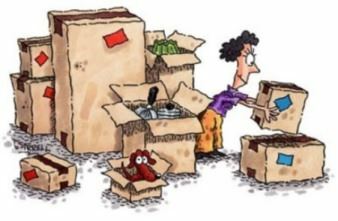 The decluttering event will address some of the reasons we hold on to things and will give you ways to get started. This free event will be held at the Community Room at 1500 Locust Street,and is a handicapped accessible venue. Please RSVP by Friday September 26 to confirm a space by sending an e-mail to info@pennsvillage.org or calling Penns Village at 215-925-7333.